Our photographer will be coming soon to your school to capture 3D images of the school-children with a specialised 3D camera. Enter your Promotion Code at the check out page to receive the exclusive offer. 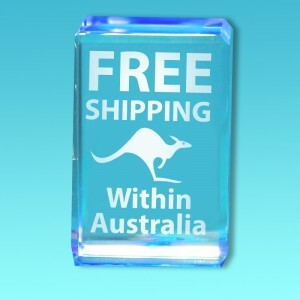 Your child’s 3-dimensional image encapsulated, forever, in sparkling optical crystal! Using the latest laser technology and a specialised 3D camera we can now capture a precious moment in your child’s development and create a high-resolution 3D crystal image to be cherished for generations. Unlike photos that are often put away somewhere and forgotten, this makes an attractive ornament to grace your home and also makes a wonderful gift for grandparents and other extended family and friends. 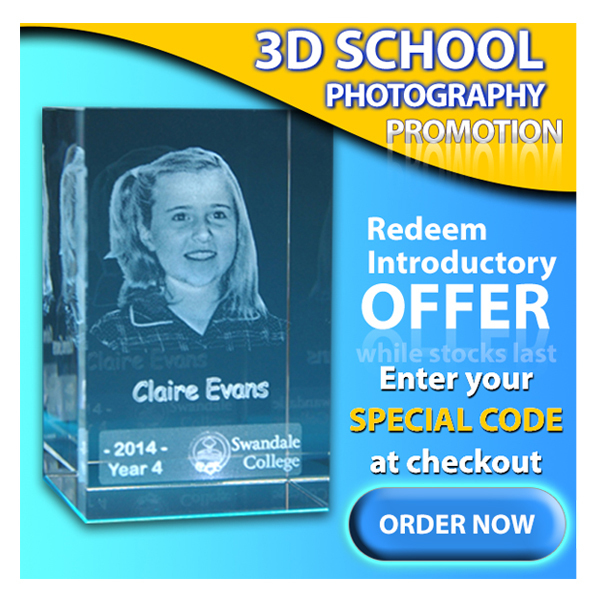 Your 80 x 50 x 50mm ‘Tower’ crystal bears the 3D image of your child, their name, their year group and also the name and logo of the school. The crystal is presented in an attractive satin-lined display box with hinged lid and magnetic latch. 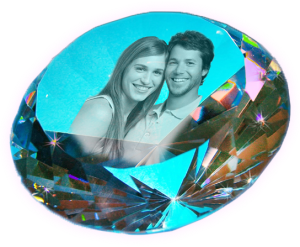 a quality crystal keyring (Normal Retail $39.95 each) engraved with the 3D image of your loved one so you can carry them with you always! If our Photographer has not yet visited your School, please feel free to gather acquainted parents and ask your school to invite us along. 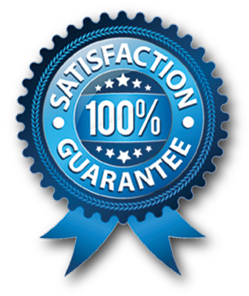 Minimum Order requirements are only 5 separate orders to make a booking.